On March 25 internationally-recognized wine chemist Andrew Waterhouse will give a free public talk at UBC's Okanagan campus about wine oxidation during aging. Presenting as part of UBC's Chemistry Seminar Series, Waterhouse will reveal some of the mysteries surrounding the aging process and discuss how trace components, such as iron and copper, can affect important quality parameters of wine, such as taste and color. 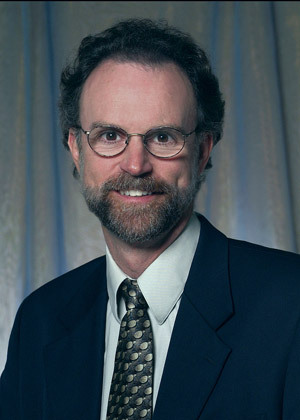 Waterhouse is the Chair and professor of the Department of Viticulture and Enology at UC Davis (University of California). In addition to his research and teaching, Waterhouse is associate editor of the American Journal of Enology and Viticulture and serves on the editorial boards of two other prominent research journals. "Dr. Waterhouse is a very well-known expert in the area of wine science,” says Cedric Saucier, Associate Professor of Chemistry. “And there are many parallels to be drawn between the research and lab facilities at his university and what UBC's goals are in terms of establishing a strong wine studies program here in the Okanagan." The free presentation by Waterhouse is at 3 p.m. in the University Centre Ballroom (UNC200). "This talk will interest wine lovers, wine makers and wine retailers alike," says Saucier. "2011 is the International Year of Chemistry, so we wanted to share new technologies and advancements in wine science with local wine enthusiasts and producers and provide everyone with an opportunity to share their passions and expand their knowledge about an industry that is at the heart of our community."